Some eye candy to start your week: our friend and ArtDock collaborator Alex Cheparev has just posted a video demonstrating the performance of the 3d applications Autodesk Maya 2015, Autodesk Mudbox 2015 and Pixologic Zbrush 4r6 on a top of the line Surface Pro 3 with i7 processor, 8GB ram, 256gb ssd, and Intel HD 5000 video card. 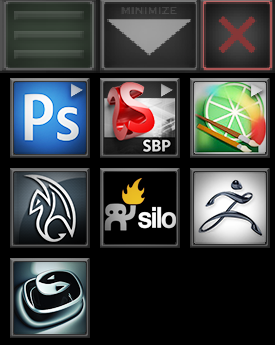 The included PSD file enables you to reuse these icons to create custom ArtDocks for your favorite applications! Introducing Surface Pro Artist ArtDock 2.0! It's only been a week since we introduced the first Surface Pro Artist ArtDock, but time waits for no one. It's my pleasure to present to you the Surface Pro Artist ArtDock 2.0, courtesy of talented film effects artist Alex Cheparev. 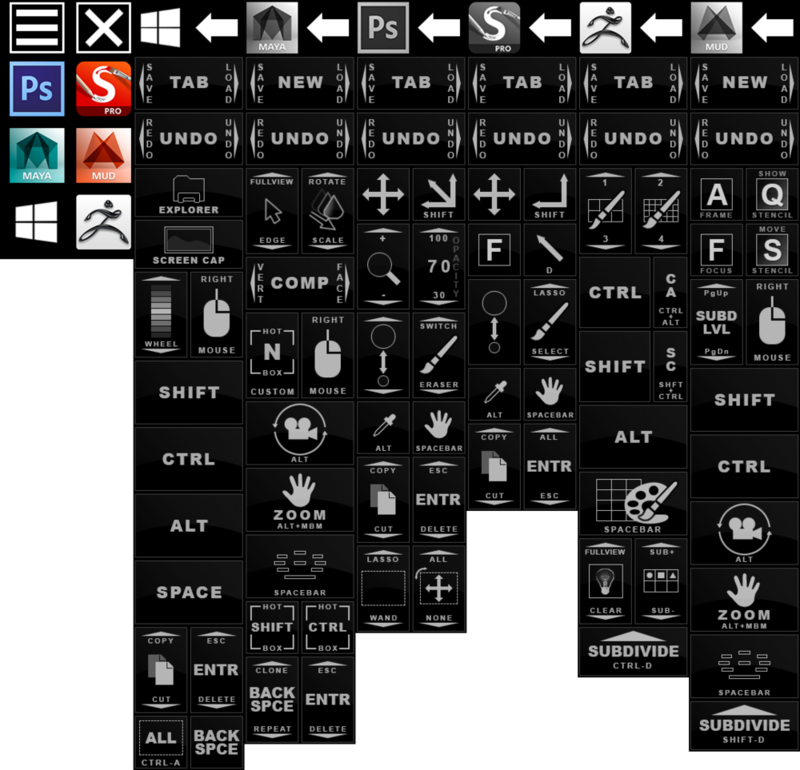 For the uninitiated, ArtDock uses a utility called AutoHotkey to create on-screen triggers for a variety of commonly used inputs including keyboard shortcuts and mouse clicks. With an ArtDock enabled, you can confidently use your Surface Pro in tablet mode without constantly reaching for your keyboard or mouse. Alex redesigned all the ArtDock icons we published to a much cleaner, flatter monochrome and he added a Mudbox dock for good measure. He also restored the Windows dock that I had hidden. If you dig into the archive's img folder, you'll find the original PSD files so you can use these icons to create your own ArtDocks for your favorite programs. All I ask is that you share your creations with the rest of the Surface Pro art community. Click this link to download. For instructions on how to install the Surface Pro Artist ArtDock 2.0, please read this post.